I have a little obsession with Lucy Van Pelt from the Peanuts Gang. So I dedicated this to her! 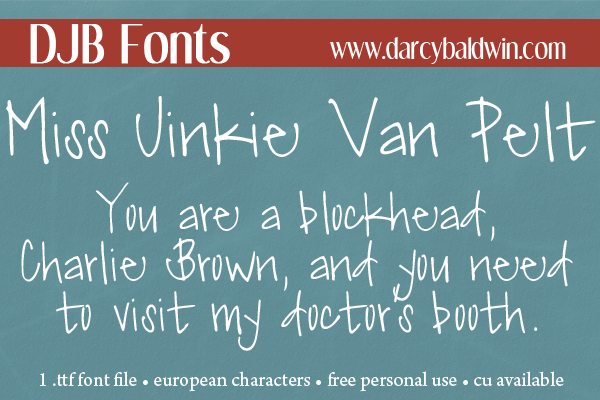 DJB Miss Jinkie Van Pelt Font – This font is free for personal use (not-for-profit). If you have a question about what constitutes personal use, check out this info or contact me with questions.